Princess Williams hadn’t thought initially that teaching kindergarten in an urban area would be her lifelong passion. 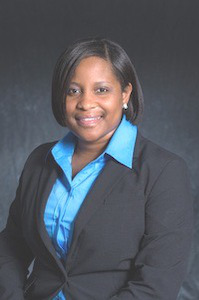 Williams has spent the past decade as a school teacher, earning a series of accolades and awards, including being named the Outstanding Urban Teacher at the International Conference on Urban Education that took place last week. It’s not the first time that Williams, 32, has been lauded for her work in the classroom. A few years ago, CNN anchor and talk show host Anderson Cooper surprised the kindergarten teacher by sending her to a New York City spa for the afternoon and teaching the class in her absence. More than 90 percent of the students in her classroom were achieving at grade level. As a kindergarten teacher at Spark Academy, which is part of the KIPP Charter School network, Williams has recently expanded her role by becoming an instructional coach, helping to provide mentorship and guidance to three other teachers. She started her teaching career fresh out of NYU, as a two-year fellow for Teach for America, the national teaching corps that places recent college graduates as teachers in heavily under-resourced school districts across the country. Dr. Chance W. Lewis, the Carol Grotnes Belk Distinguished Full Professor of Urban Education and founding executive director of the Urban Education Collaborative at the University of North Carolina at Charlotte, says Williams was selected after a global nomination period that was open over a three-month period to identify an outstanding teacher who is currently making a significant impact in an urban educational environment. Williams’ journey has by no means been easy. As a youngster, she and her mother temporarily lived for times at shelters for battered homeless women. Tackling those kinds of questions was a major part of the International Conference on Urban Education that brought scholars, educators, religious leaders and community activists together to strategize on solutions for improving urban schools. Williams, whose expenses were covered by the organizers of the conference, says that the opportunity to engage with scholars at the conference has allowed her to think about the prospects of going on to pursue a doctoral degree.